If you need a strong and sturdy hand truck that folds up conveniently and out of the way when not in use, then you'll be interested in the iBoost Solid Steel Hand Truck that can hold up to an amazing 660 lbs. Its solid steel construction is reliably sturdy and the included set of bungee cords are convenient-no need to go looking for the bungee cords you know you have "somewhere." 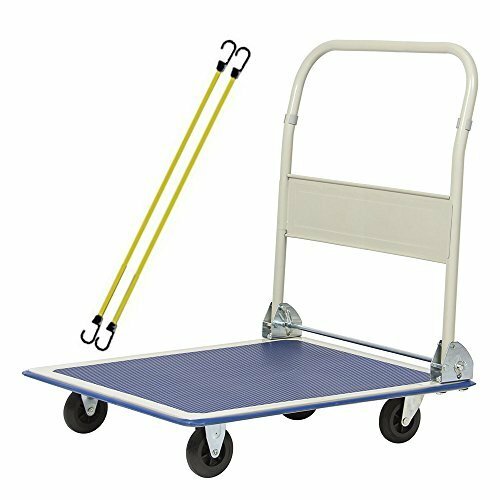 Buy this hand cart today so you're ready the next time you need the convenience of a hand truck to move items at home or at work. If you have any questions about this product by iBoost, contact us by completing and submitting the form below. If you are looking for a specif part number, please include it with your message.